#MyHomeTownGuide – 5 Fabulous Tacoma Eats! Thank you to FIJI Water and Honest Cooking for sponsoring this post. Tacoma is a culinary goldmine. From cheap eats to the upscale, the diversity of the cuisine featured in many of Tacoma’s restaurants is as outstanding as is the quality. If there were time and space I’d love to include all of my favorite Tacoma eats in this post. But for now I’m going to share just five of them with you – five great eats that I recommend to anyone visiting Tacoma. All very different, all very good, all affordable. But first, I want to invite you to try your hand at winning a fun getaway! As many of you probably know, Fiji Water is the creator of Earth’s Finest City Guide, which features the finest places to eat, stay and play. Well, they’re holding a contest right now that could win you a vacation. You can enter the contest simply by submitting a photo featuring something cool in your hometown on Instagram or Twitter with the hashtag #myhometownguide. That’s it! Just click on the banner at the top of this post and it’ll take you to the entry form. So let’s get back to Tacoma where I’m going to focus on…FOOD, of course! I’m going to walk you through each restaurant so you can get a feel for it visually and then we’re going to talk…you got it – FOOD! For this post, my husband and I visited these restaurants with camera in hand so we could share our experience with you. Listed alphabetically, here are five of our favorite Tacoma eats – here we go! They freely admit it: “Silly Name, Seriously Good Food.” And they’re correct. On both counts. Let’s have a look. There, on a dark corner, in the dark shadows of a streetlight – its sign barely visible to the passerby – sits Dirty Oscar’s Annex. But despite foregoing much in the way of sidewalk advertising, this place packs a crowd and has caught the coveted attention of The Food Network. Featured last Spring on the popular “Diners, Drive-ins and Dives” series, Dirty Oscar’s Annex was showcased along with two of it’s fabulous dishes: Tasso Tacos and Parmesan Tots. Specializing in New American Cuisine, DOA (as it’s nicknamed) features an eclectic menu. What’ll it be tonight? The pork medallions with roasted fingerling potatoes, crimini mushrooms, caramelized onions and citrus mustard, or the Dead Elvis Burger complete with candied peppered bacon, fried banana, over-easy egg, creamy peanut butter and mayonnaise? For starters we had one of their featured specials, the Salmon Platter, featuring smoked salmon, lemon chevre, pickled asparagus and red onions, kalamata and black olives, and grilled naan. Excellent. My husband particularly loved the flavor of the pickled asparagus and onions. We also ordered a serving of DOA’s famous Bacon Candy. The only description on the menu: “It’s addictive.” And once again, they’re right. Both were outstanding. And I’m still experiencing withdrawal symptoms: Where’s that bacon??! In case you’re wondering why I’ve included a picture of a glass of lemonade, let me explain. In most restaurants you go to, the standard non-alcoholic offerings are…you guessed it – soda pop. What would you like tonight with your Veal Scallopini? Root beer, Coke, Fanta, Sprite, or Lemonade? (And that’s soda fountain lemonade). It was nice to see something else available: Sparkling Ginger Lemonade. It was refreshing with just the right touch of ginger to tingle our taste buds through each course. For our entrees we chose the Elk Sliders with some of those famous Parmesan Tots and the Fried Chicken & Waffle. The Elk Sliders feature braised and shredded elk shoulder piled on toasted slider buns and topped with Havarti cheese and roasted garlic aioli. The Fried Chicken & Waffle consists of three pieces of thickly breaded buttermilk chicken sitting on top of a bacon-stuffed waffle (because you can never have enough bacon – never!) sprinkled with powdered sugar and served with fresh mixed berry jam and maple syrup. Both were good and Todd and I particularly enjoyed the Elk Sliders and Parmesan Tots. The Elk Sliders are deliciously tender and full of flavor and the Parmesan Tots were awesome – like croquettes, they’re about 2 inches long and an inch wide with a perfectly crispy exterior and soft and fluffy interior. And then there was the dessert. Oh, the dessert! I refer you back to the picture above. We had their Chiffon Cake with Chocolate Ganache, Mixed Berry Filling, Walnuts and Sea Salt Caramel with their three featured ice cream flavors: Peanut Butter Banana, Sriracha Vanilla Ginger, and Pineapple Papaya Basil (sorbet). I swear the layer of chocolate ganache on the cake was like 10 inches thick and I enjoyed the sensation of my teeth sinking into that rich chocolately goodness with each bite. The ice cream was amazing. The banana was so fresh and vibrant, the sriracha packed a K.I.C.K., and the addition of fresh basil in that refreshing pineapple papaya sorbet was fabulous and our personal favorite. Depending on where you sit, you can watch the kitchen staff at work while you eat. We haven’t been there for breakfast yet, but I hear DOA packs quite the crowd as breakfast eaters watch an entertaining show of the kitchen staff flinging pancakes. The staff is friendly and the service is good. We were able to meet the owner, Jennifer, and Chef James, both of whom were friendly and gracious. Dirty Oscar’s Annex is a great option when you want to throw on your jeans, let down your hair, and enjoy some great, creative food. And besides, where else can you find a Dead Elvis Burger? Nuff said. While the atmosphere is jaw-droppingly majestic and beautiful, the prices – thankfully – don’t reflect that. 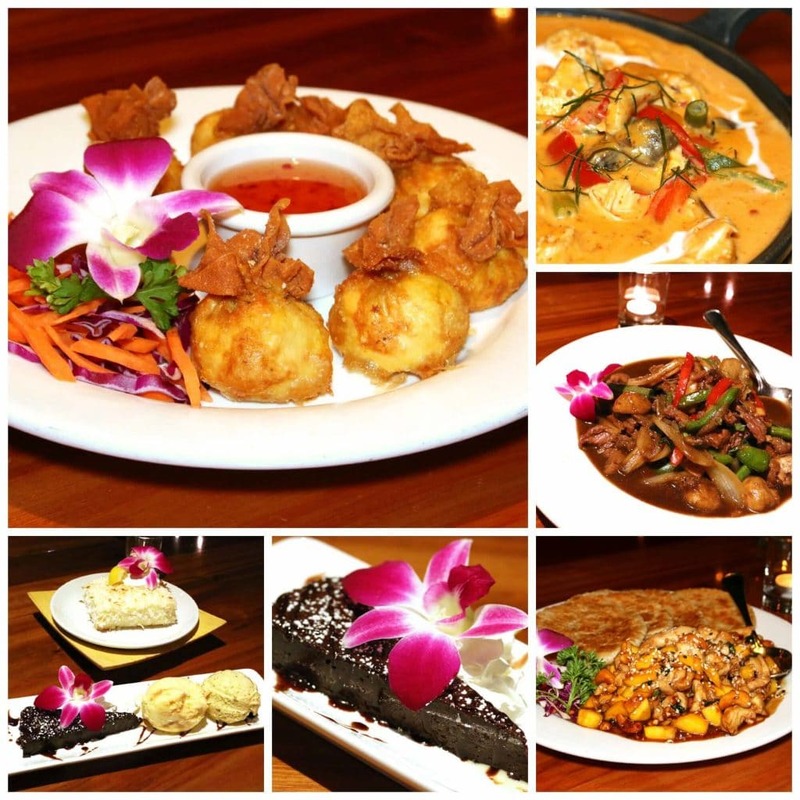 Indochine is a family-run establishment and the owners, Ly and Russel, and the staff are friendly, warm and gracious. The story of the family is as compelling as their restaurant. Having fled Cambodia in 1979 to avoid the mass genocide, Ly’s family ended up in Thailand where they were sponsored by First Baptist Church of Federal Way, a town just 12 miles north of Tacoma, and eventually settled in the safe harbors of the Pacific Northwest where her parents opened up their first restaurant. Though having studied fashion in Paris, Ly’s passion is food, which is evident in every item on the menu. While Ly is creative force behind many of Indochine’s dishes, her husband Russel, who left a successful career in software to join the family in establishing the restaurant, is the artistic mastermind behind Indochine’s construction. Their united talents and dedication have resulted in an eating establishment that is truly remarkable both in taste and appearance. Both mind, heart and soul has gone into its making. Now on to the food! For the starters we ordered their Crab Wontons and the Toasted Sesame Chicken Wraps. The Crab Wontons are stuffed with Dungeness crab, cream cheese, cilantro and garlic and are served with sweet chili sauce. Delicious! As for the Toasted Sesame Chicken Wraps, let me just say that the title doesn’t even begin to do this dish justice. Tender chicken is tossed with roasted whole cashews, peanuts, fresh mango and Thai basil in a drippingly delicious caramelized sauce. And as heavenly as that part was, it was the “flaky flatbread” that sealed the deal. I learned from our superb waiter, Chad (who really scored in making some fantastic recommendations and who I found out is also one of the managers) that Ly, the owner, crafted these delectable pastries herself after long, careful experimentation. More like buttery puff pastry than anything else, they’re a culinary masterpiece. And even though this was only the starter – and a very large one at that – with two more courses to come, I couldn’t resist scooping up every last morsel and lapping up every last drop. My husband said he’s never seen me get so animated over a starter before. And I’ve been craving it ever since. For our entrees we had the Panang Chicken Curry and the Spicy Basil Beef. The Panang Chicken Curry featured a luxuriously creamy peanut-based red curry sauce topped with aromatic kaffir lime leaves. The flavor was wonderful and we chose some jasmine and saffron rice to accompany it. My husband chose 4 out of 5 for the heat level, so I wasn’t able to indulge as much as I would have liked. And now that I think about it, that’s a pretty darn smart tactic for keeping all the good food to yourself – crank up the heat so high that no one else will touch your precious food! Hmmm, I’ll have to take that up with my Panang Chicken Curry-hoarding husband later ;) The Spicy Basil Beef was sublime. A Thai-inspired dish featuring fresh seasonal vegetables cooked to perfection with just the right amount of “crisp” and tender spicy beef in an ultra-flavorful hot basil sauce. I took some home with me for my dad who babysat for us. He thoroughly enjoyed it. If you want to experience a touch of the majestic along with the best Asian food you’ve ever tasted, you’re going to have to come to Tacoma. Because that’s where it is. Indochine. Katie Downs is beautifully located in Tacoma’s waterfront district on Ruston Way. Literally hovering over the water, Katie Downs offers views of the Olympic and Cascade mountains as well as Puget Sound. If you catch dinner during daylight hours you can enjoy watching sailboats, parasailers, and even seals swimming by while you eat. Katie Downs allows you to take in gorgeous views while enjoying a casual, laid-back restaurant setting. The place to come if you want to be re-energized, Katie Downs is always lively. It’s been noted, “it’s always noisy, so if you want quiet go somewhere else.” Well, after a long week Todd and I needed to unwind as well as enjoy a little energy boost, so we chose Katie Downs. Something that really struck us was the huge diversity in age of the patrons. We saw young adults in their early 20’s, several people who appeared to be well into their 80’s, and everything in between. We really loved that about Katie Downs. People of all ages and backgrounds coming to enjoy something in common: A fun atmosphere and good food. Let’s take a peek inside. Not your average bar food, Katie Downs offers a nice selection – everything from its award-winning pizza to gourmet burgers and sandwiches, beer-battered fish and chips, grilled steaks, fresh calamari and salmon, a wide range of appetizers, and a variety of healthy salads. And their famous clam chowder, approaching it’s 20th anniversary, was a contestant in Tacoma Weekly’s recent 1st Annual Chowder Challenge wherein the public sampled chowder at all the participating restaurants and then voted. The winner: Katie Downs! And speaking of award-winning, let’s get back to the pizza. 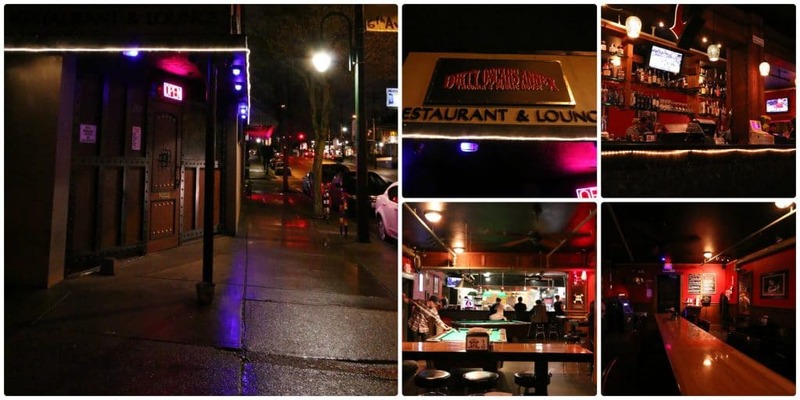 Their pizza has won several awards, including coming out the victor of the South Sound’s Tournament of Pizza as well as having been voted “Best Pizza in Western Washington.” And for very good reason. More on that below. We were starving when we arrived at Katie Downs. And we were really craving some good “comfort food.” We skipped the appetizers and dove straight into the entrees. Todd ordered Fish & Chips, which has been a favorite of his ever since living in England for 2 years as a young adult. Beer-battered and accompanied with steak fries and malt vinegar, Todd gave it a thumbs up. He’s super picky about his fish and chips and really enjoyed these. I ordered the French Dip which was everything a good French dip should be and we both inhaled our comfort dishes while waiting for the final entree. I know what you’re thinking, but we couldn’t leave without sampling their award-winning pizza! Plus, we had a hungry babysitter at home (aka, my brother) who we wanted to reward for his generosity. You can either order a custom-made pizza with all the toppings and combinations of your choice, or you can select from some Katie Downs’ classics. We chose the one called “Fearless”! Complete with red sauce, smoked bacon, white onion, fresh garlic, provolone cheese (and lots of it! ), pepperoncini peppers, and a fabulous crust. This deep dish pizza was incredible and we loved the flavor combination. After sampling some we packed it up in a take-home box and brought it home to my babysitting brother who, after eating a couple of slices, declared “now that’s a gooood pizza!” We even had a couple of slices leftover which we thoroughly enjoyed the next day. Having boxed up the pizza to take home with us, we still had just enough room to split a piece of delicious New York Style Cheesecake topped with berries. Our evening was now complete and we left happy. 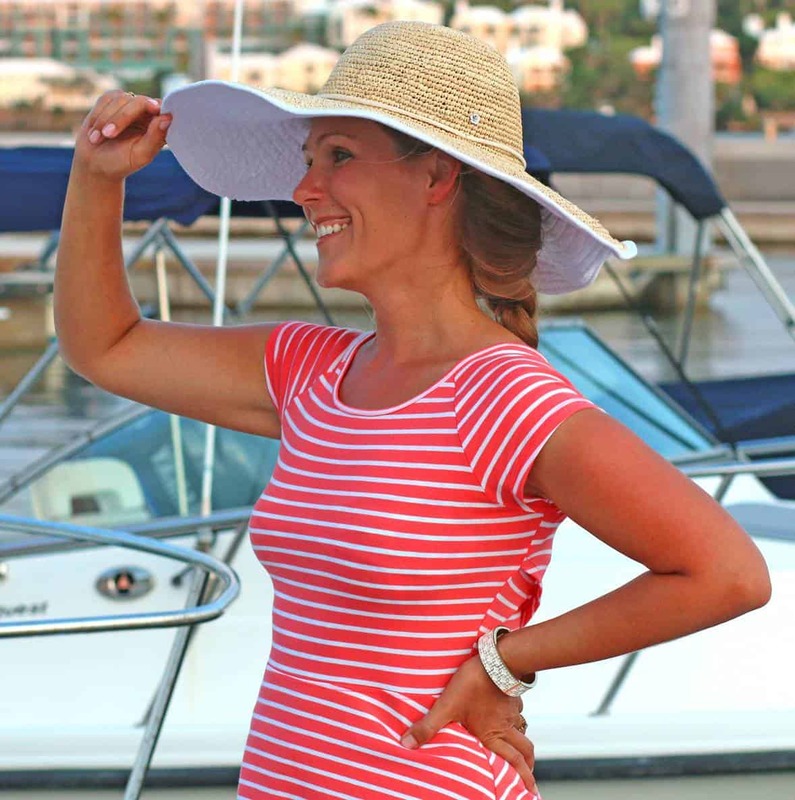 Katie Downs is all about casual fun. Kick back, grab a drink, watch some TV on one of several of their big screens, laugh a lot, eat a lot. And just be yourself. No show, no pretense, no worries…just good food and fun. A touch of class in the heart of Tacoma. Standing just across the street from the Tacoma Glass Museum, Art Museum, State History Museum, and the historic Union Station Courthouse, Savor Creperie is worthy of its prime location. With its sleek modern design and the logo “Savor” printed on the window, it’s eye-catching and curiosity-arousing. At any given time you can peek through the windows and observe smartly-dressed staff in white button-up shirts and green ties and watch the chefs, decked out in formal white double-breasted coats and tall toques, create the crepes right in front of you through the glass. It’s a thrilling sight! Enter Savor Creperie. Clean, classy and modern while still providing a cozy atmosphere. Instrumental jazz standards were playing – Gershwin, Porter, Ellington – and I immediately felt at home. As you look around you’ll notice the fine art along the walls. Savor Creperie regularly features local artists, currently the work of Terry Rishel, Dale Chihuly’s photographer for many years, and we really enjoyed viewing the collection while we waited for our food. Which wasn’t long. On the wall behind the counter is a large chalkboard with at least two dozen different crepe options listed, about half of which are savory and the other half sweet. The flavors and ingredients all beautifully composed and balanced. Here are just a few examples you can enjoy through the palate of your imagination: Maple Roasted Butternut Squash, Stilton Cheese, Candied Hazelnuts, and Fresh Thyme. And what about Leek, Apple, Chicken Fennel Sausage, Goat Cheese? Or how about Shredded Pork, Mushrooms, Cabbage Slaw, Hoisin Sauce? 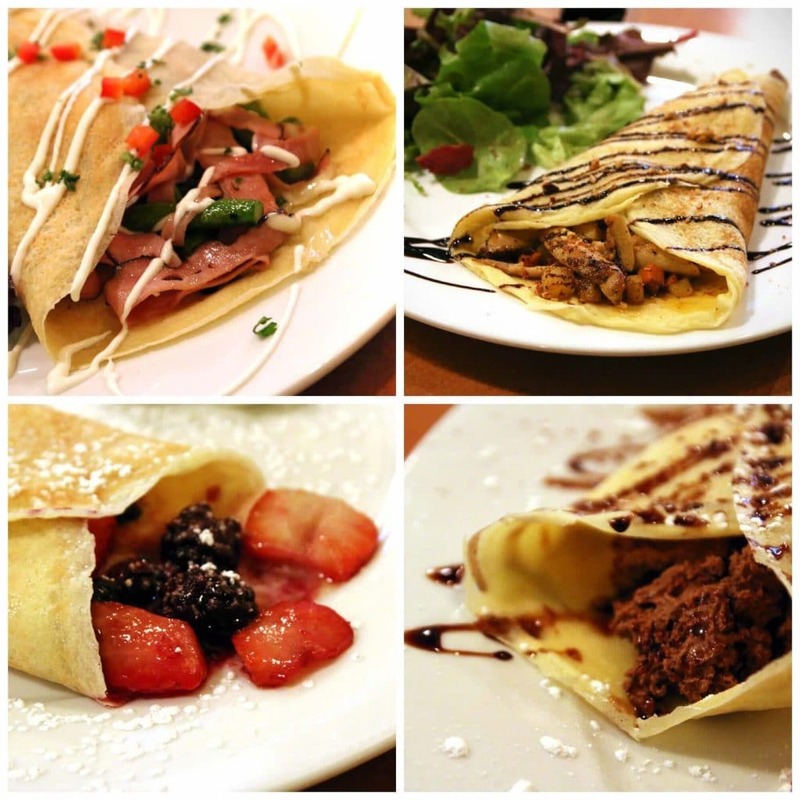 The list of deliciously creative crepes goes on and on. And then there’s the dessert list. How about Crème de Coconut with Mango Lime Sauce? Or Strawberry with Brown Sugar Pecan Crumb and Vanilla Crème Fraiche? Looking through the menu is like reading poetry! But before we get too carried away with the crepes, let me show you around the place. We settled into our seats and eagerly awaited our crepes. Having grown up in Europe and enjoying crepes for many years, I was especially excited to try them. We had the privilege of meeting and chatting with the owner of Savor Creperie, Tom Vigue, who left the corporate world as well as his restaurant on the east coast to settle in Tacoma with his wife and open up a creperie inspired by his recent tour through Europe. Friendly and personable, Tom was gracious to take a good amount of his time chatting with us. He told us about the inspiration behind some of his crepes, including a family recipe and currently his most popular crepe: Rosemary Chicken, Roasted Sweet Potato and Toasted Pecans with a Balsamic Reduction. Tom loves visiting the local farmer’s markets and many of the ingredients in his crepes are sourced there. Our crepes arrived and it was time to eat! In addition to the rosemary chicken crepe described above, we tried the Ham, Roasted Asparagus and Gruyere with Dijon Crème Fraiche and the Smoked Salmon with Boursin, Tomato, Red Onion, Chives and Capers. My heart sped up as I watched the crepes nearing our table. Each crepe comes with a fresh leafy salad, the perfect accompaniment. The various sauces are artistically whipped over The tops of the crepes are artistically drizzled with their various sauces they’re sprinkled with fresh herbs and other garnishes. The balsamic vinegar reduction is the best I’ve had and Tom explained to me that making it is about a 3 hour process. The roasted asparagus was the perfect texture with just the right amount of crunch, another example of the kind of care and detail that goes into Savor’s crepes. All three of the crepes were delicious. Our favorite was the Ham, Roasted Asparagus and Gruyere with Dijon Creme Fraiche. We’re both die-hard Swiss cheese fans and Gruyere is king of them all. For the dessert crepes we tried the following: Bittersweet Chocolate Whipped Cream with Mocha Sauce and Mixed Berry with Ginger and Mascarpone Cheese. As these were set out on our table I exclaimed to Todd, “Where was Savor Creperie back when we were still dating? I would have had you take me here every weekend!” The crepes are simply beautiful. This time we had them put half of each crepe on each of our plates so we could sample both more easily. We thoroughly enjoyed each one. The berries are simmered in a sauce of their juices with bits of candied ginger added. Superb! The bittersweet chocolate whipped cream in the other crepe was exquisite. Though I was already pretty full from the savory crepes, I could easily have handled two more of those dessert crepes. Easily. And just writing about them is inducing a massive craving attack. And though I haven’t tried them yet, Savor Creperie also features real Belgian Waffles. Liege waffles are made with an elastic yeast dough, not the watery waffle batter we’re used to here in the U.S.. I’ve heard wonderful things about Savor’s waffles and look forward to trying those next. 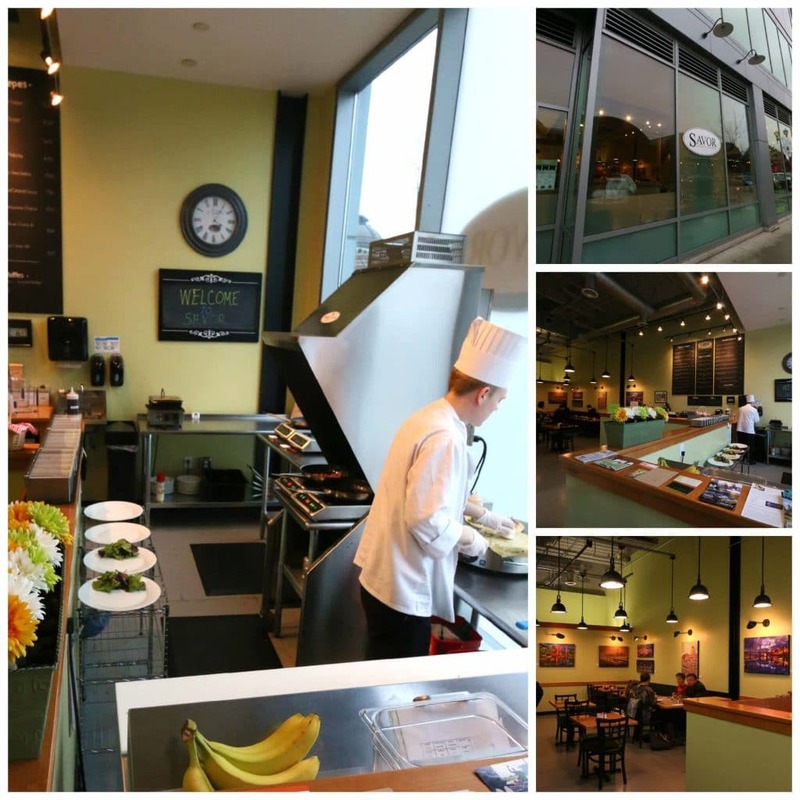 At first sight, Savor Creperie may seem a little intimidating with its modern chic design and professionally dressed staff, but the moment you walk in you realize you’re in a warm and welcoming environment with a staff that delivers prompt and friendly service. And the crepes are simply delicious. Tom Vigue’s culinary creativity is fun and inspiring. The first thing you see on the wall in front of you as you walk through the front door is the sign inviting you to SAVOR. And savor we did. Every last bite. Tacoma residents, you knew I had to throw this one in there! 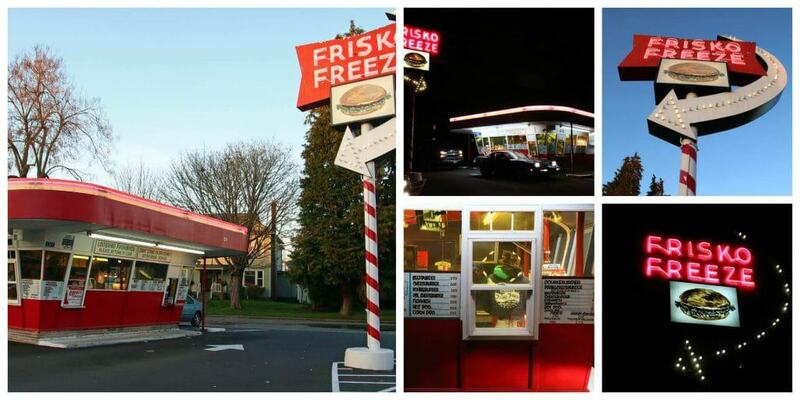 Like a scene from “Happy Days”, Frisko Freeze is a slice of Tacoma history. A nostalgic landmark that every Tacoma resident knows, this iconic fast food joint has been here since 1950 and continues to operate as a eat-in-your-car drive-in burger joint. And in 2008 Frisko Freeze earned a place in the Tacoma Register of Historic Places. Featuring classic burgers, large servings of onion rings and fries, and delicious milkshakes, Frisko Freeze is the place to grab some food when you’re in a hurry or when you’re taking a leisurely drive through downtown and don’t want to get out to eat. Or it’s the place to go if you’re in the mood to take a walk down memory lane. It’s the perfect date in combination with a visit to the LeMay classic car museum just down the street across from the Tacoma Dome. We each ordered a double cheeseburger, onion rings, fries, and blackberry milkshakes. Todd and I chomped down happily on our burgers and sipped our milkshakes while Johnny Cash wailed from the speakers of Frisko Freeze. For the drive home we turned on our 50’s playlist and sang along to Fats Domino, Jerry Lee Lewis, The Everly Brothers, Bobby Darin, Sam Cooke, and The Platters. For more information visit in person or call. There were no websites in the 50’s! And don’t forget to enter the contest! Show us your favorite spots to eat, stay and play in your hometown and win a getaway to any of the US cities featured in Earth’s Finest City Guide! To participate, just upload an image of your favorite spot in your hometown to Twitter or Instagram with hashtag #myhometownguide and you will be entered to win automatically. You are a natural restaurant critic and I really enjoyed the reviews! I agree, Tacoma really does have a lot of fantastic restaurants that can give anything in Seattle a run for their money. I have tried a couple of these places and after seeing all of the mouth-watering photos and descriptions I can’t wait to try them all! Thanks, Jake, I’m glad you enjoyed reading this! Happy eating! Happiness loves company, Brenda! :) Thanks for visiting! Indochine and Frisco Freeze are two of the things I miss most about Tacoma. Great review and beautiful pictures. LauraJane, thanks so much for your thoughtful and detailed comment! There really is so much to do in Tacoma and the surrounding area (don’t forget the Pantages, Rialto and Tacoma Little theaters.) My husband and I never run out of date ideas. There is always something new to explore or a new place to eat. When I moved here from Europe a little over 10 years ago, while there was plenty happening in other areas of Tacoma, downtown was still something of a ghost town. Empty storefronts and a stagnant lull. Still, the buildings were beautiful with so much character, history and potential and I really hoped things would pick up again. Since that time, with downtown becoming home to the University of Washington Tacoma’s campus and other business moving in, it has really blossomed. Many of the old buildings have come to life and several new buildings have been built. I love it! On a side note, you know I’ve never never been inside Union Station Courthouse? What a remarkably unique and beautiful building! As an attorney, my brother’s been in there many times and I’ll have to have him give me a tour. Some other incredible historic buildings: The Pantages and Rialto theaters, the Old City Hall, Hotel Bostwick, the National Realty Building, Northern Pacific Building, the Washington State Historical Society building, and Whiskey Row just to name a very few. And there of course there’s Stadium High School which has to be THE most incredible public high school in the nation. And the Weyerhauser Mansion – breathtaking! Tacoma’s also home to some of the neatest old homes I’ve seen. They’re just incredible! And there are certain rows of them that look like they’ve been transported from San Francisco. I was actually to publish a special on my blog a few months ago, “Autumn in Tacoma”, featuring some of those neat homes and buildings in fall foilage but never had the time to finish editing all the pics and doing the writeup. It’ll have to wait until this Fall :) And speaking of write-ups on Tacoma, as knowledgeable and passionate as you are about Tacoma, perhaps we do a joint venture for a special blog post. If you’re interested, send me a message. I was so excited to see this!!!!! I’ve lived here all my life and I agree, Tacoma has some great eats! I’ve already tried Savor Creperie (yummy, yummy!) and Frisko Freeze (who hasn’t? 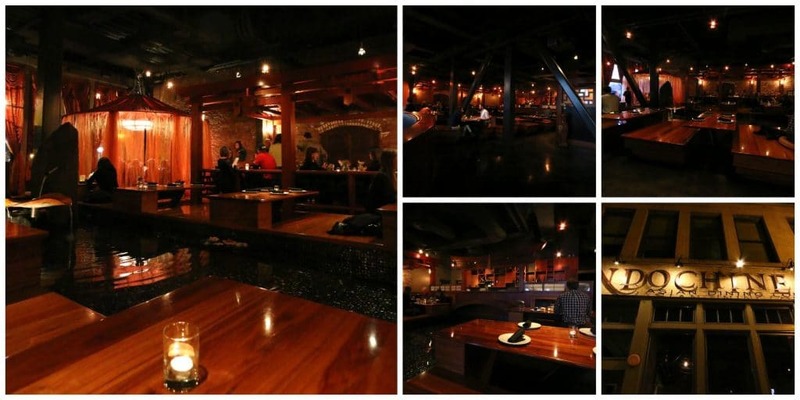 ), but still need to try Dirty Oscar’s Annex, Katie Downs, and Indochine. Every time I drive by Katie Downs I think, “how cool, it’s like a castle on the water” :) From your pics it looks like a fun place and I’m reeeeally picky about pizza (probably more picky than your husband is about fish and chips! ), definitely trying this! And Indochine looks simply incredible, wow. I don’t know why I haven’t tried it before now. 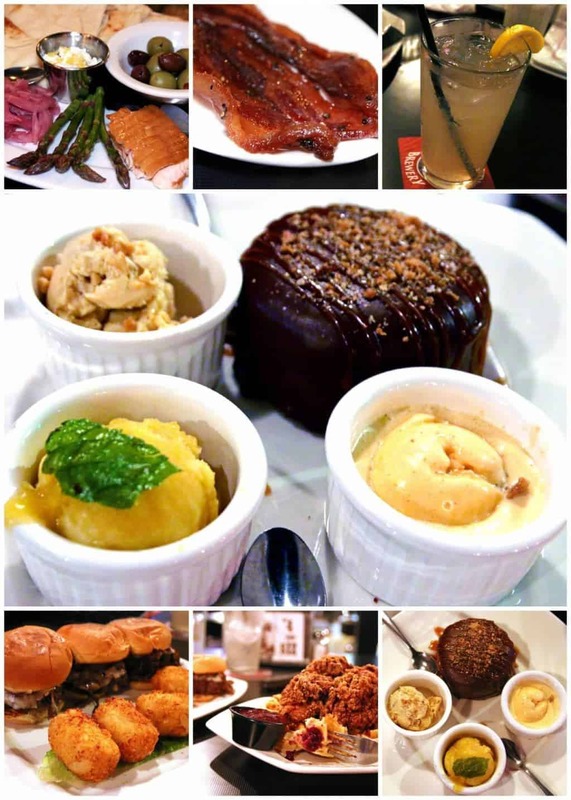 My husband is an Asian food fanatic and I think I’ll need to take him there as a surprise, his birthday’s coming up :) I don’t know if I have the courage to try the Dead Elvis burger at Dirty Oscar’s, haha, but I’m dying to try that candied bacon!! That papaya basil sorbet sounds sooooo good, too. Thanks so much for all your hard work, you did such an awesome and helpful job on this!!! J.
Oh, come on now, Jerri, live a little! The Dead Elvis Burger may end up being your favorite thing ever! ;) You won’t be disappointed in Katie Downs’ pizza. I’m happy you enjoyed this write-up and thank you for your kind words! Wow, this was amazing… and thorough! Love all the great pictures. Out of all these, I have only been to Katie Downs. Even then, I had no idea what to order. So now I want to go back and try those items. I had never heard of the others. I read it out loud for my family, and when I got to the Frisco Freeze part, my husband started making very approving noises. It turns out he’s been there and knows they have the best burgers in all of Tacoma! And he has never taken me! Wow, I’m floored. Well, we’ll just have to see about that. After all, I’m worth it. Thanks for the tips and looking forward to trying these recommendations out. Thank you, I’m glad you enjoyed the article! And yes, you are definitely worth it! :) Your husband should be reprimanded (lovingly, of course) and then made to take you to Frisko Freeze. Check out the LeMay Museum while you’re at it. In fact, the third Thursday of every month from 5-7pm is free! (So are the other museums downtown). You can catch some classic cars and then head over to Frisko Freeze for some 50’s grub. See, I’ve already planned out your next date for you! Speaking of best burgers in Tacoma, Katie Downs is famous for theirs. 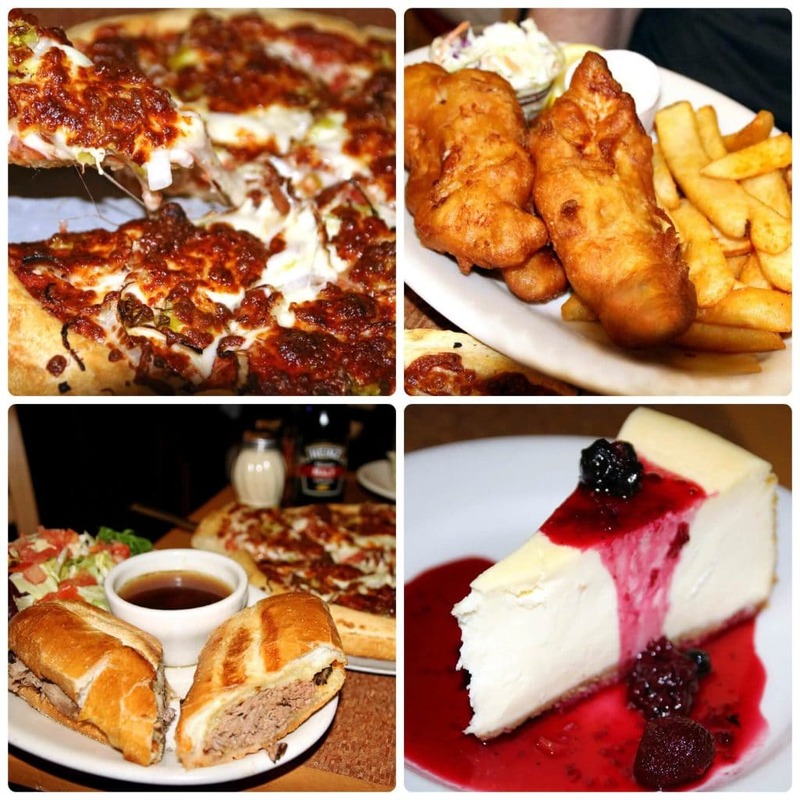 Their burgers and pizza are the crowning features on their menu. In Gig Harbor: Brix 25, JW’s and of course the Morso Wine Bar. Brix always gives us a glass of champagne while we peruse the menu. Just love that place. JW’s is a hidden gem, fantastic gourmet comfort food. 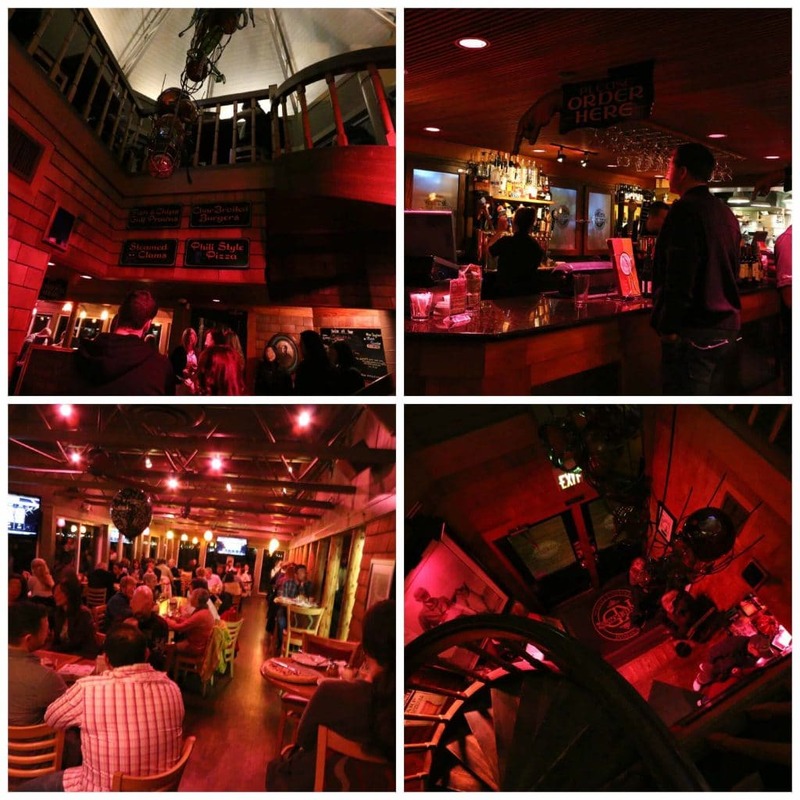 And Morso… voted best waterfront dining venue or something like that. They are wonderful and haven’t let all the attention change them (yet?!). Hi, April! My husband and I LOVE Gig Harbor. Thanks so much for the tips and info on places to eat there. We haven’t tried any of those yet but will definitely need to! Lucky you!! These all look fabulous and I want to try them! Next time I’m in Tacoma, let’s go! You bet, Jeanie! :) Thank you! 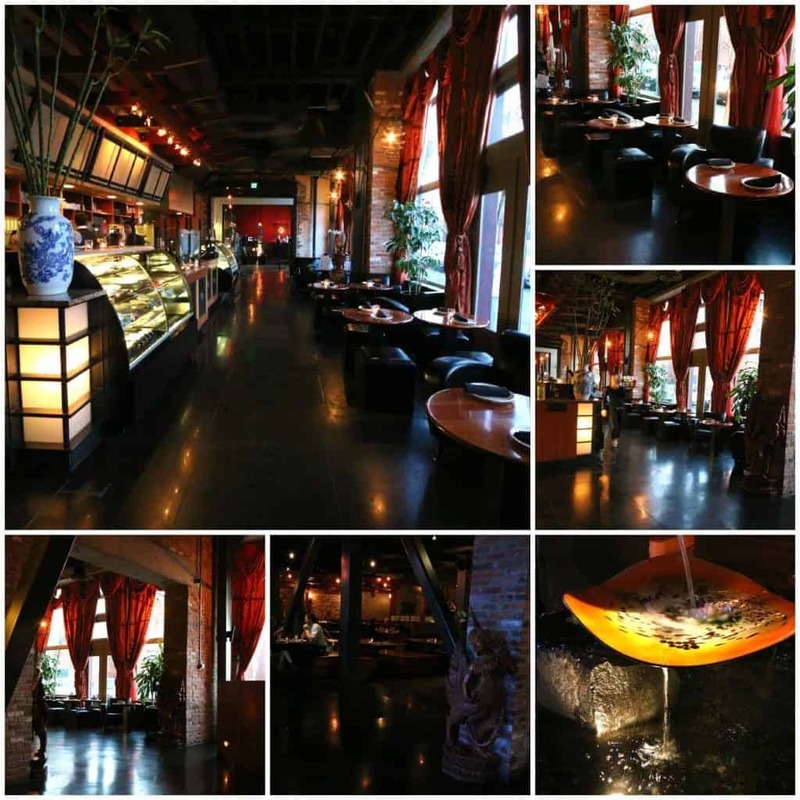 Thank you so much, I know indochine and have been there and love it, DOA have heard a lot but did not trust the source of info, now I will try DOA with confidence. I have been dying for crepes, so glad you pointed them out. Very exited to try Katie downs now, and have always been a FF fan. 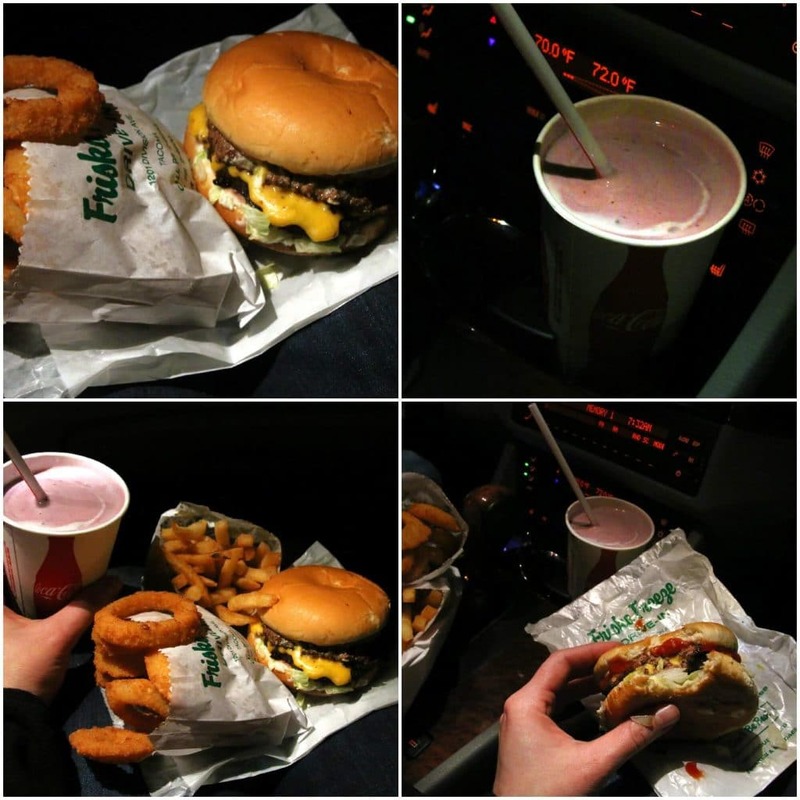 Love the greasy burger.